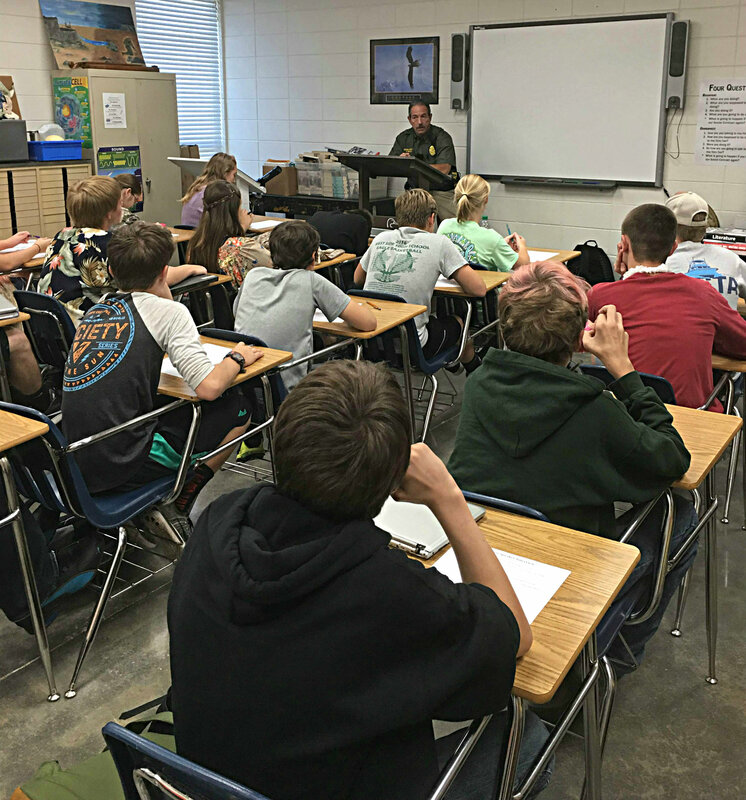 Devin Carr's 8th grade Career Development class would to thank officer of the year David Bryant for being a guest speaker today. Officer Bryant talked to students about his job as a local police officer to help shed some light on the duties he performs on a day to day basis. Mr Carr says, "Our local police officers, EMT's, and first-responders are invaluable to our community. We really appreciate all of their hardwork and dedication. Our students greatly benefit anytime someone can come to our school and talk about their profession." If interested in being a guest speaker for Career Development, please contact Mr. Carr at www.westsideeagles.org or by phone at (501) 825-7241.